Brad Groff remembers the car his grandfather drove. It was huge. The kind of car where a youngster could curl up on the back seat and sleep all the way home from a weekend outing. The car was quiet and plush with expensive upholstery. And it was stylish, with a massive amount of chrome for a grill and soaring fins at the rear to mark the passing miles. It was the kind of car that brings back pleasant memories. “It was in Sacramento, so I used up all my Alaska Airlines miles and booked a flight to go look at it,” he says. But a funny thing happened on the way to Sacramento. 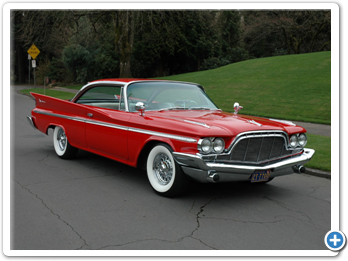 “A few days before I was set to leave, I spotted an e-Bay listing for 1960 DeSoto. He called the owner of the 1960 Adventurer and asked if there was any chance he could look at the car during his one hour layover. “You remember those old O.J. Simpson ads with him running through the airport? That was me. He did a couple laps around the airport parking lot, took a glance underneath, thanked the owner for his time and scrambled back through security to make his next flight. He flew back to Portland, Oregon and placed his bid on the ’60. The reserve price was modest and Groff’s bid was conservative, so he was surprised when he won the auction. Groff sweetened the deal by paying the seller to do some work on the car before it was trucked to Portland. In the four years since buying the DeSoto, Groff has done mostly detail work to the car. He replaced the stock 14-inch wheels with 15-inch wire rims and period looking tires. The bulk of the chrome trim was removed and replated. Groff says the car still needs a bit of attention. There are a few problems emerging in traditional trouble spots in the body. “It’s an older restoration, so you have to expect a few issues here and there,” he says. 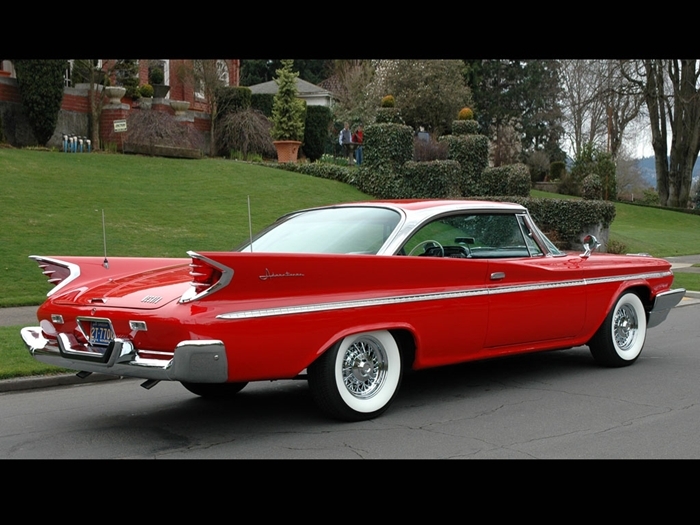 But the age and miles driven since the DeSoto was restored give it the patina of a driver...not a trailer queen. 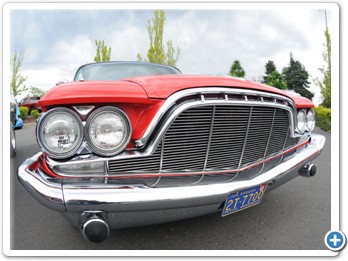 As an automotive swan song, it is hard to imagine anything more impressive than the 1960 DeSoto Adventurer. It was built in an era when designers had free rein to explore the limits of what their draft pencils and fertile imaginations could conceive, unrestricted by the restraints of corporate average fuel economy. In today’s world of plastic coated compacts, it is easy to forget just how big the full-size cars of 50 years ago actually were. 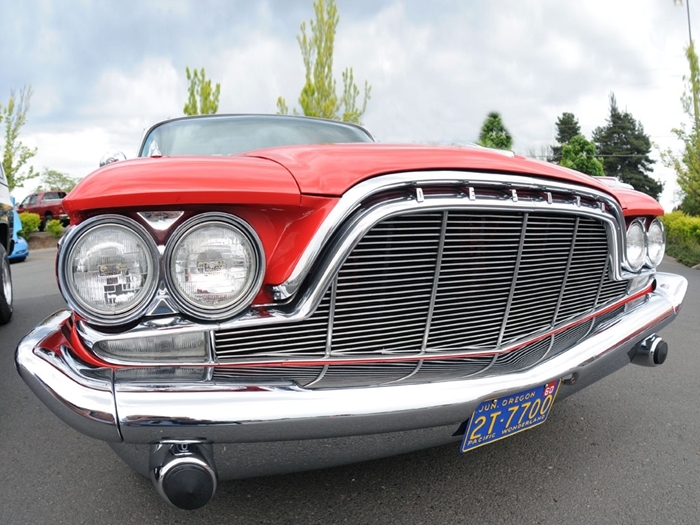 Weighing in at just under 2-tons, there was nothing subtle about this graceful, two-door hardtop, with 18 feet of sculpted sheet metal flowing liquid like from the leading edge of a massive chrome grill to the tips of the twin tail fins. 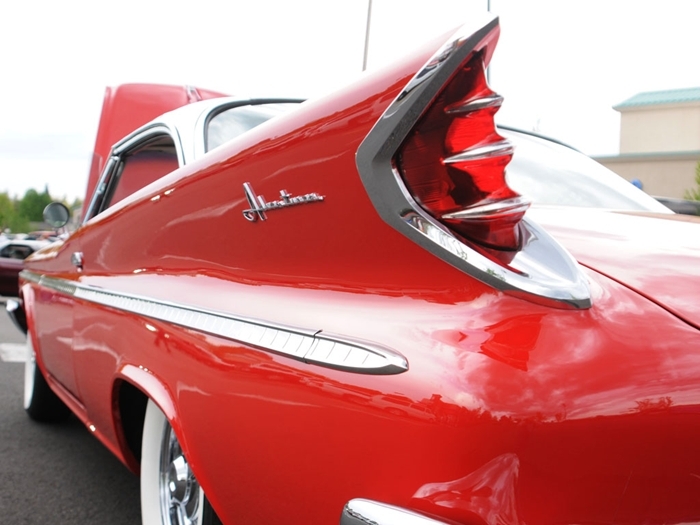 The Adventurer line began in 1956 as the just slightly down-market version of the Chrysler 300-D, considered the performance benchmark of the era. “When people see the car, half of them think it is a Chrysler 300 and the other half want to know when Cadillac built it,” he says. And while Groff loves the style of his ’60, and the looks and trophies it gets when on display, he’s still searching for that ’57. The ’60 may be beautiful, but it is hard to compete with a memory. In between DeSoto’s introduction in 1928 and its demise in 1961 would come 32 years of wonderful styling, bright colors, and power to spare. DeSotos were billed as “a lot of car for the money” and sales proved it. DeSoto was purely an American effort. 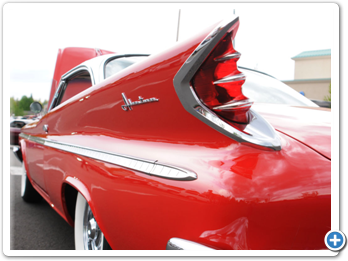 One look at the graceful flying lady mascot on the hood of a DeSoto S-11 is all it takes to see that it was a different era - a time in American automotive history that is forever gone. 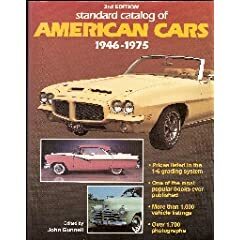 Revisit this era in a concise history of this magnificent marque - illustrated with colorful pictures, period advertising, artist renderings and contemporary black and white factory photos that show the fine details of these beautiful cars. Take a nostalgic tour through history. Experience the style and hype of the automobile advertising industry from the glory days of cars. 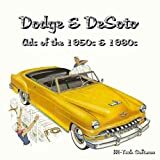 This CD-Rom includes over 260 real Dodge & DeSoto magazine automobile ads as they appeared during the period. They’re all here: the full size Dodges & DeSotos, Darts, the Chargers and more. PLUS 12 TV commercials. 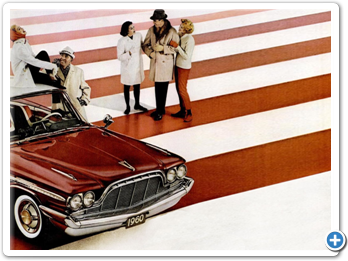 This is the largest collection of the Dodge & DeSoto ads available in a single resource. Founded in 1924 by one-time railroad mechanic Walter P. Chrysler, Chrysler the car actually preceded Chrysler the corporation. With roots entwined with several pioneering automakers and industries, Chrysler made it possible for Detroit to become the Motor City. Featured here in over 200 vintage photographs is the heritage of one of Detroit’s most renowned automakers. Chrysler Heritage: A Photographic History follows the fortunes of the company, its founders, and its products for over a century. 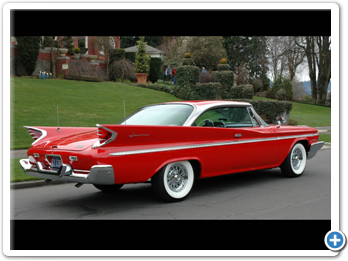 Through its acquisition of Dodge and the introduction of Plymouth and DeSoto, Chrysler rose quickly. 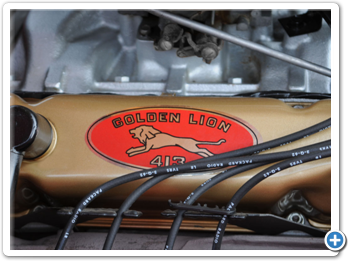 Renowned for its advanced engineering, it surpassed mighty Ford Motor Company for second place in sales after GM in 1933. Showcasing photographs from the Chrysler archives along with in-depth captions, this new book captures the muscle of Detroit, including the corporation’s unparalleled involvement in the Second World War and the Cold War. If the picture takes your breath away--imagine what a drive would do. 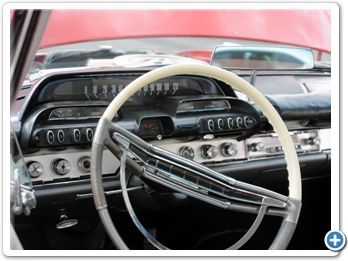 The ‘60 DeSoto is made expressly for those who want the newest and the best of everything modern ... 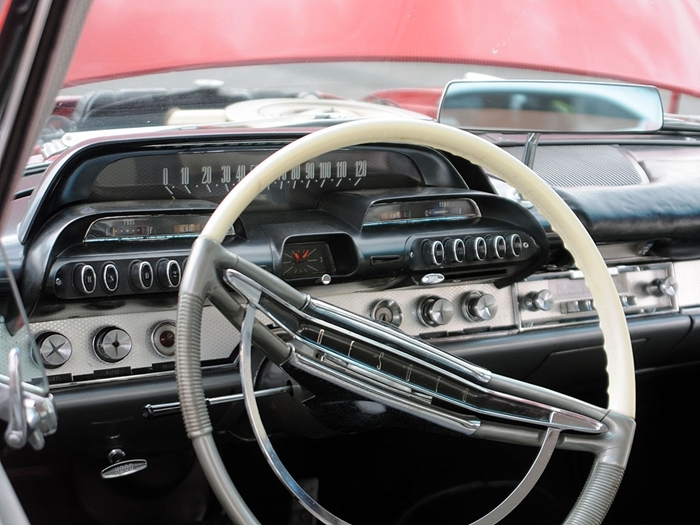 The 1960 DeSoto offers every kind of luxury option: Thru-way Auto-pilot that lets you dial your speed, automatic swivel seats, Ultra-Fi phonograph, air conditioning--the works! The early Adventurer was a true high performance car, capable of 140 miles an hour, given enough decent pavement to move its mass into the scary end of the speedometer. In a promotional coup, it used that power to pace the ‘56 Indianapolis 500. It capitalized on the event by building about 400 white and gold replicas, named Pacesetters. 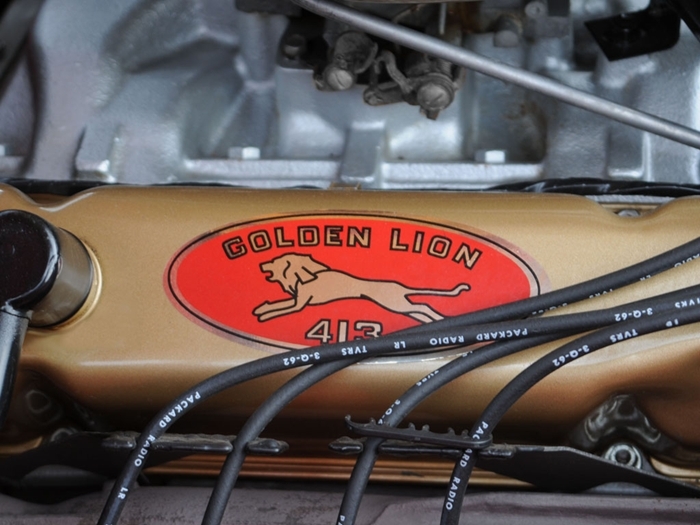 By 1960, however, Chrysler had abandoned its high-performance hemi-engine for a more conventional motor and the speed potential was scaled back from pavement burner to highway cruiser. 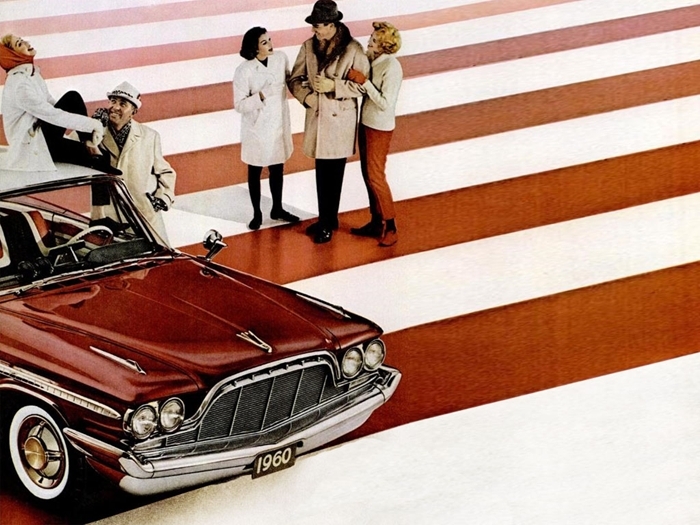 During its final years, DeSoto became Chrysler’s Edsel, built for a market that existed in only the smallest of numbers, trapped between the lower priced Plymouth and Dodge divisions and the upscale products from Chrysler. It was part of the same type of brand loyalty marketing employed by both Ford and General Motors, where executives hoped buyers would enter the manufacturer’s family at the discount end and work their way up to the expensive side of the product line as they became more affluent. 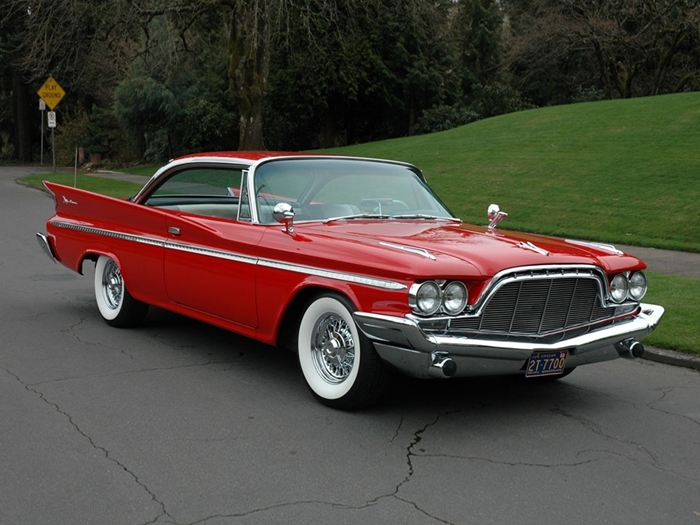 Rumors began surfacing in the late 1950s that Chrysler was considering killing the DeSoto brand. By that time, the car was a near twin to the Chrysler, save for a few styling cues and trim pieces. It was in November 1960 that Chrysler finally decided to eliminate the DeSoto line, building just enough 1961 cars to use up the supply of DeSoto specific trim pieces. According to the Standard Catalog of American Cars 1946-1975, Chrysler Corporation produced 26,081 1960 DeSotos. This count includes 11,598 Adventurers, 3092 of which were coupes.